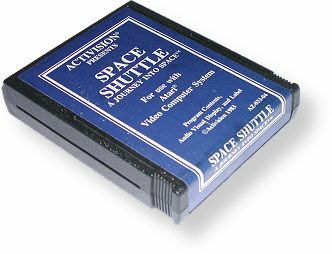 These labels came out of Activision's desire to cut costs late in the life of the 2600. Instead of the normal labels with nice fonts and multicolored pictures, Activision used a plain blue label with white text and no picture. A double-line border surrounds the text. The end label has the game title in this same plain font. Blue labels are slightly harder to find than their standard counterparts, but they aren't particularly rare.